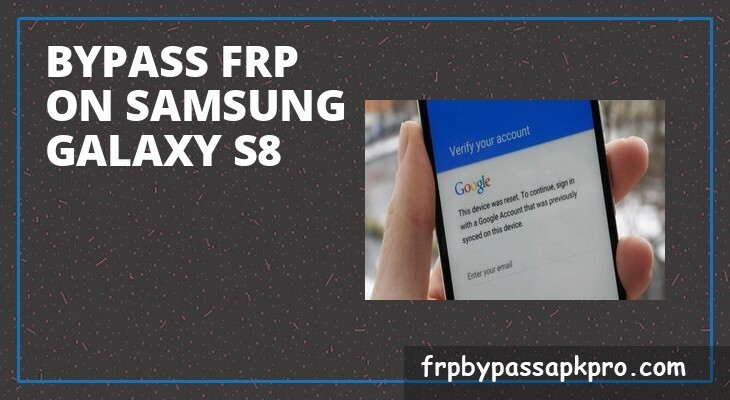 The FRP feature may very often make individuals think of how to bypass FRP lock Samsung galaxy s8. The procedure is not complex as well as there are many different methods that can be used in order to skip the process. Owners of the dives will also need to find out what it stands for and how to go through the procedure safely and efficiently. Here we will try to give simple answers that will help to cope with it. Popular page frp bypass with pc for LG ms210. How to bypass FRP on Samsung Galaxy S8? The FRP can be translated as nothing but factory protection settings. Large number of mobile phone producers including Samsung will require owners of smart phones to register it so that user name and the password could be used in order to prevent the use of the gadget by unwanted individuals. In most of the cases it prevents the use of the mobile phone when it is stolen or lost somewhere. In addition, the owners themselves have experienced difficulties whilst entering the details. The user name and the password may simply not be recognized at all times making the process a little bit complicated. For that reason, lots of owners prefer to bypass FRP but do not know how to do it. You are require to visit this link to frp bypass tool for Google Pixel 2 . The main aim of the FRP feature is to provide the maximum protection when the phone stolen or lost. It also disables unauthorized bodies to access private files that are stored in the phones memory, making copies of it or sending it somewhere else. It requires entering the user name as well as the password when the phone is switched on. All you need to do is to follow this link to frp bypass for Samsung Galaxy S7 and S7 Edge . Android application package is the best answer when it comes to the question of how to bypass FRP lock Samsung galaxy s8. The latest version is highly preferable when it comes to the download and installation. There are so many different portals on internet that can provide either free download or the one that has to be paid for. People are advised to use the most reliable and secured resources so that no unwanted programs or viruses can be transferred to you Samsung galaxy s8 phone. Having a careful look at feedbacks and the total number of downloads are crucial. That will help to determine which portal that offers the latest apk version is the most secured. The application package will help to skip the process of entering the registered details at all times, making the process of switching the phone on quick and simple. I am sure that you have enjoyed this post to frp bypass tool for Coolpad 3622a . Make the internet engine search. Find the most secured resource that can be trusted. Find the latest apk version that is available to your Samsung galaxy s8 phone. Zip files have to be extracted and the application saved whatever is right for the owner of the gadget. The phone’s battery has to be charged to the appropriate level, so that the process is not interrupted. Connect the gadget to your PC where the application file was saved. Install the file to your Samsung galaxy s8. The process of bypassing FRP will be a routine from now on.